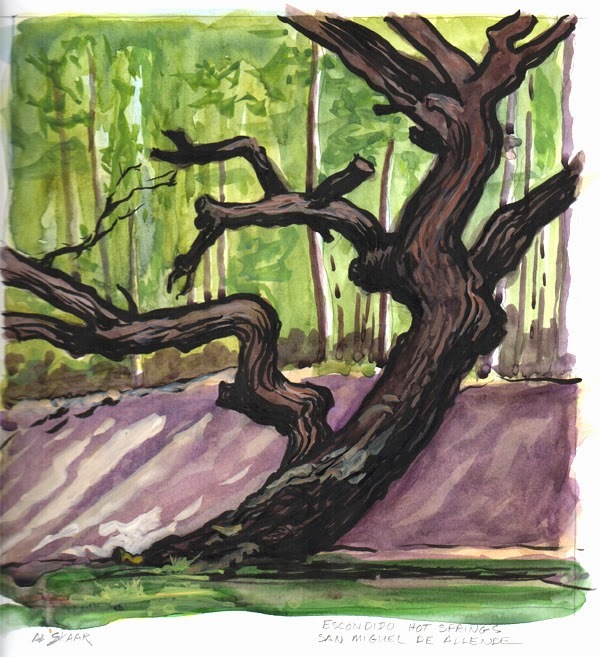 Sketch of a tree at El Escondido Hot Springs just outside of San Miguel de Allende, Mexico. Transparent watercolor, white gouache, and ink. Nice to see you again Al! Lovely tree. Let's see some more of Mexico! I just noticed this sketch! It is really beautiful!